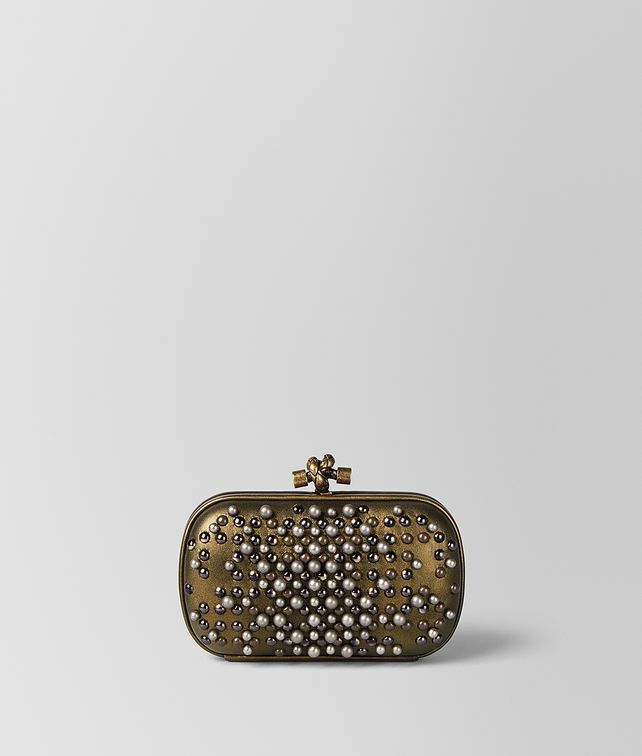 The Knot minaudière is an iconic silhouette in the Bottega Veneta collection. Inspired by Venetian gazing balls, this style is crafted from soft nappa leather in an antique finish and embellished with lustrous, hand-applied resin spheres. Its signature knot-shaped closure in a gold tone is engraved in signature intrecciato. Height: 10 cm | 3.9""
Width: 17 cm | 6.6""